Hey, this doesn't look so bad. I like. If you can improve it a bit, then go for it. But as a base form I think that it is ok as it is. Can't wait to see how it is gonna look on the battlefield with all the colours and other units. posted May 02, 2016 01:03 AM bonus applied by Maurice on 03 May 2016. Edited by LizardWarrior at 01:09, 02 May 2016. Just a hastily made fairy dragon, I know it doesn't look that great, but it's more of a concept than a final creature. Very creative modding, looking forward to see more and more edited new creatures, I know that editing these is very time consuming and exhausting. Got to jump in and say, thank you for your hard work. I can't say i like the Wraiths really, sorry... But i do like where the fairy dragon is going. If you manage to make it really small or at least medium sized it will be just fine. Also, give the beast some more vibrant colors on the wings!!! Not just purple. Make it look some more like a true lizard. Finally, a request, that i think you LizardWarrior might be able to do. I would like for Cu sith to enter the game. It is a forest being that could in theory enter the sylvan armies but has never done before. I had given the idea to AcidWarrior but, and i don;t blame him, didn;t see it viable. The idea is for it to either be a neutral unit in itself or an upgrade to the white tiger. 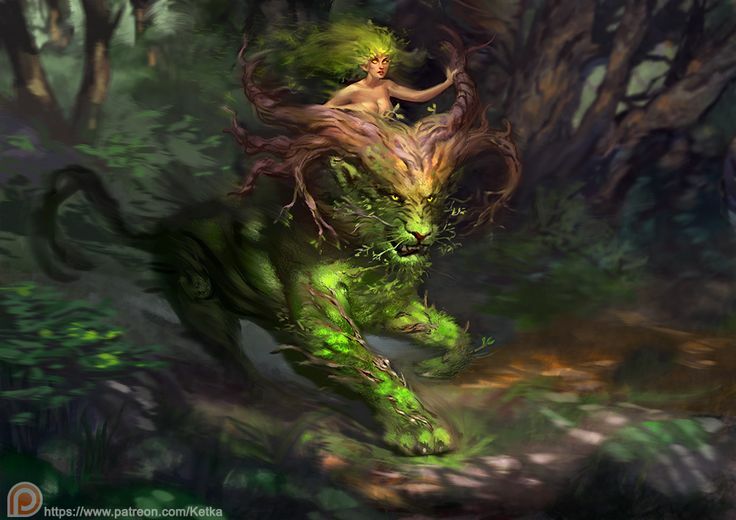 So, it could be made from the Wolf model to look like green Dog with moss, leafs and branches around it and a more "fluffy", leafy tail and some orbs like the Treant has surrounding it. Green body with leafs and moss still applies, maybe some branch horns on the head as the picture suggests and the orb thingies around it just for effect. Or even the green aura of the Dryads. The unti could have regeneration as an ability, or plain resistance to earth, or double attack or even no retaliation if we really want this current lineup to trully be an offensive one. I'd much rather see a ghost remodel than a tentacle elemental remodel. They would look good in black rags, with a skeletal face. Edited by LizardWarrior at 22:01, 08 Jul 2016. I thought they looked voidy and fit pretty well in the line-up. But yeah, maybe this is not the best design. And I also planned to re-design the ghosts, so I'll see what I can change. While working with that horrible Ashan abomination I almost died, even started to see the green light and the spider god Erwin trying to grab me into the spidery heavens, but luckily Lizard was there to save me and help me finish this. but luckily Lizard was there to save me and help me finish this. now that's finally a proper black dragon, well done! I do have a request. After the newest discussion about gremlins, i was intrigued that maybe we can return them to Academy in order to move the Cabeiri to the Fortress and replace the kobold. So, could any of you two try to make a Grey and a brown version of the Cabir, with more slave like clothes, or smiths robes and so on and try to add to it some kind of ears or goggles or something to make it resemble more a gremlin? The red color which refers to the fire and the fire nature of the unit should be gone and brown and/or grey or yellowish could work for the Academy theme. All the gold and gems on their attire should also be gone since they are considered to be enslaved spirits, bound to work on the foundries. Well, that shouldn't be too tricky (I hope). I can try to mod the goblin's head unto the cabir and make. Personally I would like to replace fortress with h3 fortress, but I can make a small mod to replace the kobold with the cabir and give gremlin back to academy. Edited by Articun at 12:22, 09 May 2016. Can you also give those antlers to the Cu Sith as well? maybe they will suit him also. One question, why not use the legs of the Stag since we have it in game? 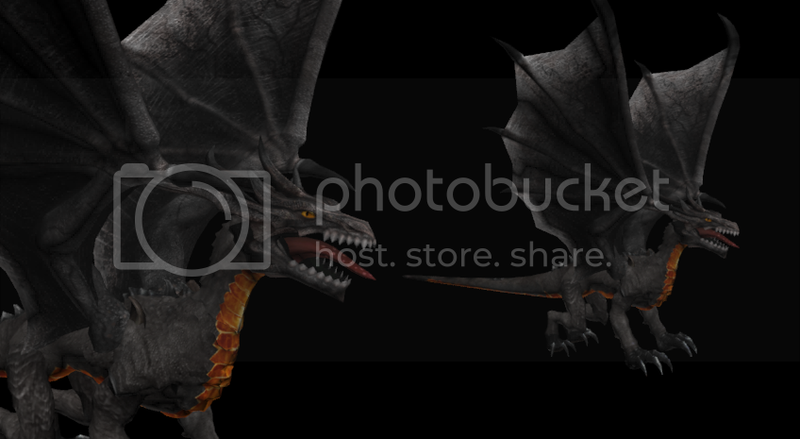 The dragon is a new model for skeletal dragon? Edited by LizardWarrior at 18:59, 09 May 2016. Antles on the Cu Sith do look good on him. Maybe if they were just a little bit more on the front so that they would look like they come from the up center of the skull, unless i don't see the model very well from my laptop. Well mate, i must say, you are doing a very impressive job on the textures and models. Quite well done i must say.